A total of over 2600 statute miles, all at 9 miles per hour or slower. Some 300 engine hours, one hurricane, Entire Lake Erie, Erie Canal, Hudson River, New York City twice, Newport RI, Block Island, Delaware and Chesapeake bay. What an adventure! First I want to thank Jesus, my Lord and Savior who gave me the dream and strength to make the journey. He protected us and made sure we have the guidance and protection we needed along the way. Second, I want to thank my wife Deb for going along with my crazy idea, she was a real help and trooper when things got sticky. Third I want to thank everyone who followed us on this blog and facebook. I hope we gave you a bit of a taste of what the trip was like. All our great friends we miss so much after leaving Catawba Moorings July 4th weekend. Thank you for your prayers and support. Thanks to my family for supporting us and taking care of things at home. I want to give a special thanks to Captain Neil Spencer of Atlantic City who went well above and beyond the call of duty helping us get ready for hurricane Irene and then getting the boat back to sailing shape after the storm. He was always willing to help, very reasonable rates and has made the trip down the east coast over 200 times. If you ever need a captain, he’s the best I know. My favorite was the Hudson River, New York City and the entire Long Island Sound including the entire Conn. coast and Newport, RI. These people were boat crazy. Every marina was full and they were all using their boats on weekends. Some great ports like Stratford, Mystic, Newport and Block Island. A bit hard to get to and from Fort Wayne but worth the trip. I can’t say there was a worst that sticks out in my mind. The rivers and inland interccoastal rivers were very long and boring at times but offered protection against the wind and weather that open waters did not. As far as equipment, my hand help remote control Autopilot was the very most important tool for the trip. 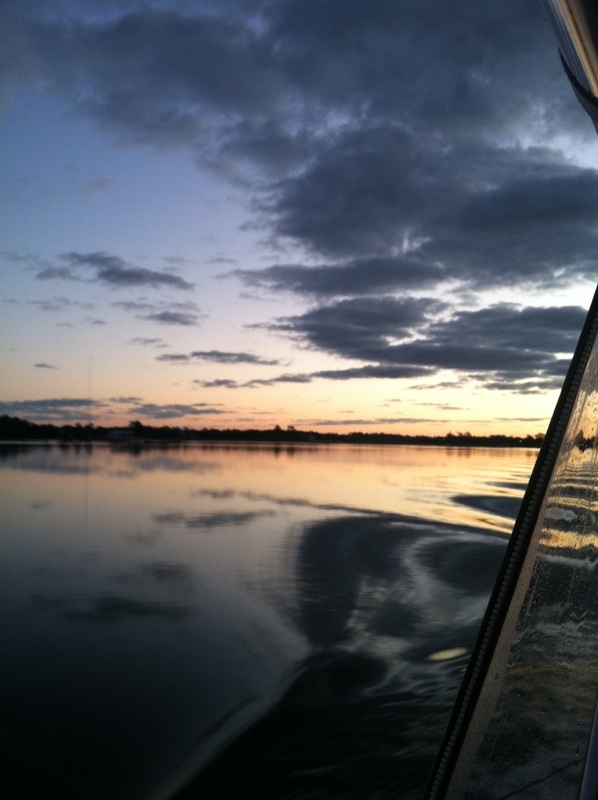 I could steer from any place on the boat which greatly lessened the fatigue of the very long days. A good GPS with detailed maps is a must have. satellite weather radar, shower, well stocked galley and a good anchor you could count on are all what I consider critical equipment when making the trip in a bit of a rush. The full enclosure protected us from the wind, rain and cold and made the trip much more enjoyable. Sever key boat systems failed on the trip. the water system developed a crack in the strainer, the marine radio had problems with connections forcing us to use the backup handheld. Running lights burned out a few times, of course the bad fuel issue. Have a good set of tools and critical spares of as much as you can afford. A ditch bag with a handheld GPS, Marine radio, flashlight, flairs and emergency locating device are important if things go wrong. We were never out of cell phone range and the marine radio antenna is mounted at the top of the mast giving us a great range. As the trip went on the days getting shorter limited our days from well over 100 miles in July to less than about 70 miles in November. The tides were really a surprise with tidal swings of over 7ft in long island sound and then south of Myrtle Beach. The water level change was not the issue, it was the current going against you would limit your speed or add to your speed sometimes over 2 knots. Several bridges were too short for our 63ft mast at high tide. Four bald eagles and hundreds of dolphins kept us company during the trip. There was a lot of undeveloped land along the trip. Much more than I would have thought before hand. Not that many boats making the journey. There was about a 50/50 mix of sailboats and power boats. We were youngsters compared to most captains and crew. Most had retired and bought a boat for the journey. We left Jekyll island early this morning. Don’t ever eat at the restaurant at the marina, vending machine food is better. There was a railroad lift bridge that was closed for maintenance so we decided to go around by way of the ocean. The wind was a bit strong but from the west so the waves were only 2 to 3 feet. There was a 5 to 7ft ocean swell going from east to west but it was a very slow role. But the sails out for about an hour but when the winds were gusting to about 30 knots and the boat tilted bad to the port, I was instructed by my crew to put the sails down. St. John’s inlet was great with a naval base just inside. We traveled down the intercoastal about 8 miles down river to the Beach Marine Marina. A nice place where I washed the boat and had a nice dinner at the marina. Tomorrow will be a long day and if we can hit the bridges right, we can make it to Daytona and our final stop. It will be great to see my sister, nieces, Chris and of course mom and Jerry. Our Florida home for the winter. Tomorrow’s post may be a bit delayed due to the party but I will make a final post. Thanks to everyone for following our trip. The anchorage was fine but, during the night with the wind and the tide we rotated about 270 degrees. I moved to the back cabin because the anchor chain had a snap each time the boat rotated. I think there is a bridle that we can rig on the bow to stop this. I have seen several on our trip but need to get some supplies to build one. Passed through the Little Mud River near high tide this morning without an issue. As we approached the Mackay River Bridge at St. Simon’s sound, the tide was too high to get under the bridge. It looks like from my tide table app on my phone, the tide will not be low enough to pass under the bridge until at least 2pm today. The wind is blowing from the south up to at least 25 knots and may hold the tide in longer. 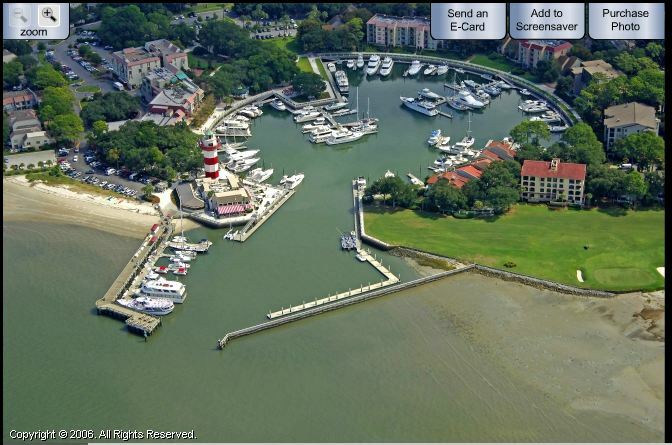 We cancelled our reservation and plans to travel to Fernandina Beach, FL today and have made Marina reservations at Jekyll Island for tonight. The storm front is approaching from the west and may hit just about the time we can pass under the bridge. In this case we have made arrangements at the Morning Star Marina just under the bridge if needed quickly. Not sure if this tide bridge issue will be a daily problem as we move farther south but a 4-5 hour delay each day will stop our progress. Looks like the wind will subside after the front passes and we may be able to go outside to make better time. We have traveled over 2500 miles since we started the trip back on July 2nd. We have 140 miles to go (less than 6%). We are clear sailing to our final destination and then it happens, a minor front that has been on the simulated weather computers for over three weeks turns from a minor front passage to a major low that is racing across the south and spreading snow as far south as Tennessee with winds ahead of the front in excess of 40 mph. Coupled with the 8ft plus tidal swings and the worst maintained passages of the entire intercostal waterway. No possible way to make the daily passage and have a safe marina to spend the night. And there it was, one of the largest challenges of my 25 years as a captain on the great lakes and ocean. A 24 hour period that challenges everything I have learned up to this point in time. Everything inside me wanted to rush through the bridge and across the bay before the storm front arrived. Instead, I needed to set at anchor in 35mph winds and a tide that pushed against the wind spinning the boat in circles. Rush through the bridge and wipe out all the top side electronics or worse. Have darkness overtake us without any type of shelter or good anchorage, lightening or water spouts could quickly overtake the boat and cause major damage, driving the boat through a channel that has been drained of almost all the water. I look over at the channel banks and see the shoreline that is normally covered with water at eye level. These are the experiences of the last 24 hours. We pray and push forward, using all the training and experience developed over these many years. Most of which the boat can take and only maintain only minor damage so the question is: How much can the captain and crew really take? The answer is, we kept a clear head throughout, took calculated chances and sailed a 45ft sailboat from Lake Erie to New York, then up to Rhode Island, Block Island, Delaware bay, Chesapeake Bay, weathered Hurricane Irene and then the lower east coast and tomorrow into Florida ! We are anchoring just off the ocean in a channel west of Blackbeard’s Island. There are two other boats in the channel and it looks like the anchor will hold. With a south wind blowing strong all night, we should stay facing the same direction, (not like the bad night at anchor on the last trip). In the morning we will work for the first several hours and then head down the intercostal for a channel called Little Mud River. According to Captain Neil and the reading in the cruising guide, we need to through this area at near high tide to avoid running aground. The worst stretch on the entire ICW. We have traveled over 2000 nautical miles and have less than 200 to go for the entire trip. Left the Marina at 6:30am, after talking to the locals about the Stono River inlet not being reliable and the current running the wrong way at about three knots, we decided to head towards Hilton Head by way of the intercostal. The cold front approaching from the west has been put off another day and the worst of the wind will arrive Monday during the day. With seas of 5 to 7 feet from the south we will be forced inside on the Georgia intercostal. We really wanted to be outside for this portion of the trip. It is a very nice day with highs in the mid 70’s and partly cloudy skies. Funny thing about being at Hilton Head again. We had vacationed there about 10 years ago and had chartered a sailboat for a half day to see if we would like it. The boat was around 25feet in length if I recall and it was a very windy day. We left the marina both deciding sail boating was not for us. It was not till 5 years later when we were looking for sizable accommodations below deck and fuel economy that we decided to look at sailboats again.